I had the privilege yesterday of addressing nearly 5,000 attorneys in an ABA CLE webinar on ethics issues relating to lawyer ratings, rankings and reviews. It was interesting that many of the questions in the Q&A revolved around what an attorney can and can’t do on LinkedIn–focusing on areas such as specialization, recommendations, testimonials and endorsements. Unlike technology such as blogs, states have been much quicker to start recognizing that social media needs rules, opinions and guidelines quickly. I started teaching law firms about social media in 2003 (10 years ago), before anyone was thinking about Twitter, Facebook or LinkedIn. At that time, I had an account on MySpace. It is a powerful environment that falls into many gray areas–personal versus private, advertising and marketing, business or family. The complicated mix makes compliance and staying out of hot water even tougher. Yet, it is too big an arena not to be engaged. It is important to understand the sites, your state bar rules and how it plays at your law firm. 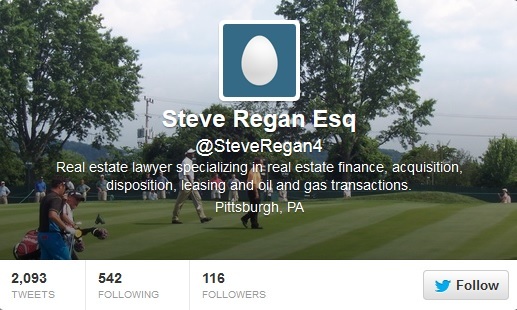 Just to point out the small ethics misstep in Steve’s Twitter description…the use of “specializes in”… a no-no in most states and most instances. I did note that his description does not identify his employer–which is a good thing–although, as everyone learned…that did not really matter, did it?